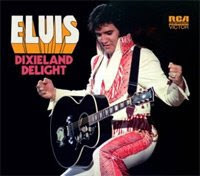 Just the day after I wrote about the Follow That Dream label needing an official website, the fans got word on the Internet about the next FTD release being Dixieland Delight, featuring concert performances from May 31st 1975 and June 1st 1975 in Huntsville, Alabama. 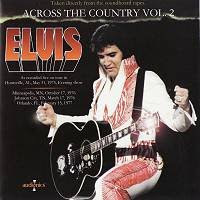 Also, according to the Essential Elvis blog, the album would be released with a colour booklet and in cooperation with a forthcoming multimedia box set from another label. All at once, the speculations began on different fan forums and message boards: "This sounds like a April fools joke, a bit late though. FTD already has Southern Nights and Dixieland Rocks. Since when do they do booklets with these. And they are cooperating with someone else!!! I'll wait for an official announcement," Iray commented on Elvisnews.com, to name but one example. Now, imagine if FTD had a website up and running. Then all the fans could visit it and read that, yes, this is the next release and no April fools joke. Come to think of it, there wouldn't be any speculations in the first place because the information about the upcoming double CD would've already been posted on the official site. Such a website would also be the perfect platform for Ernst or Roger where they could elaborate in more detail on why the set is "released in cooperation with the forthcoming multimedia box set release by Bud Glass and Pray To Me Publishing." FTD seems to have finally understood the need for a booklet together with a soundboard. The 5" digipack series is becoming more and more of a soundboard label. The cover is exactly the same as the one used on the bootleg Across The Country Vol. 2 (featuring the Huntsville May 31 Evening Show). Only one of the shows has been released by Madison, the June 1 Evening Show has not. Why not a box set with all the shows, or at least the four that definitely exist? Am I imagining things, or is FTD looking (and thinking) more and more like Madison? The drug may be taken with meal or without meal. There have been studies that this drug works much better than Prozac. It is advised to take the drug as per doctors order.